Clovis North, off to a 6-1 start and a No. 13 state ranking by Cal-Hi Sports, has a new school scoring leader. Savannah Tucker, only a junior, scored her monumental points on a layup in a 75-53 win over Oak Ridge in the Nike Central Valley Showdown at Clovis West on Dec. 1. The 5-foot-9 guard now sits at 1,213 points and counting after passing Chay Coffman, who played from 2009-2012. 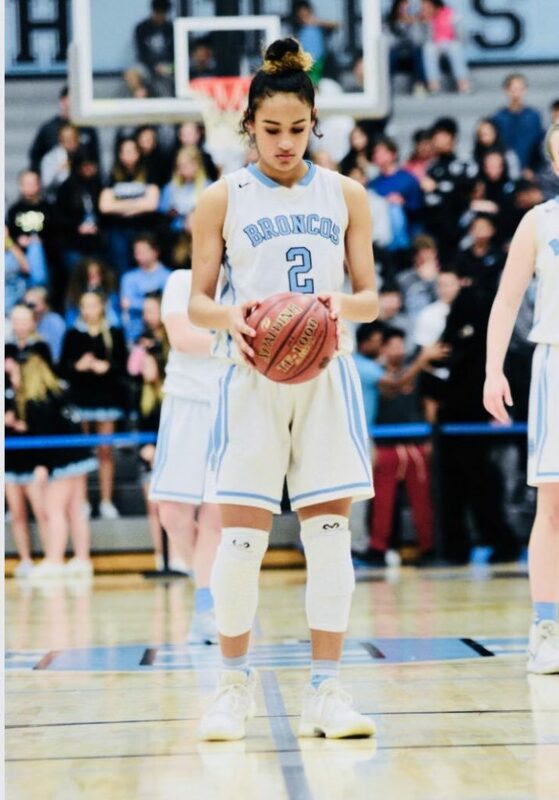 “Savannah’s scoring record is very impressive, especially so early into her junior season,” Clovis North coach Heather Long said. “She has continued to get better and better every season and game. She has a gift and is a very fierce competitor. Using a strong skill set but rarely shooting three-pointers, Tucker just as easily gets to the basket with a powerful dribble or can sink a pull-up jumper. The rate Tucker is going, averaging 28 points per game including three games over 30 points, she’ll finish with a number that’ll be tough to beat. “It’s very exciting because of how supportive my team and coaches are,” said Tucker, a starter on varsity since her freshman season. “It’s nice to see all the extra time and focus I have put in – and that I will continue to put in – all start to come together and show on the court. Clovis North hopes to return to the Central Section title game after falling to Clovis West 63-49 last season. The Broncos picked up big wins over Valley Christian (72-46), Mesquite from Arizona (71-52) and Oak Ridge (75-53) before suffering their only loss at Miramonte 75-71.